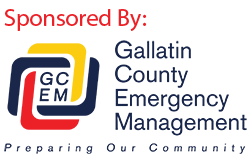 Due to the number of press outlets seeking to attend this press conference, the media outlets will begin setup at 2:00 p.m. and the conference will begin at 2:30 p.m.
Sheriff Gootkin will be holding a press conference today at 2:00 pm at the Gallatin County Detention Center. The Detention Center is located at 605 S.16th Ave.
(Bozeman, Mont.) The Gallatin County Sheriffs Office is currently investigating allegations of an assault involving Greg Gianforte. We will provide a press release with more information when appropriate. The investigation is ongoing. Pool photos from Deputy Mason Moore’s funeral are available by clicking here. Mandatory Photo Credit: Jeff and Neal Krogstad.